Reading List: The Anti-Bully Ball! 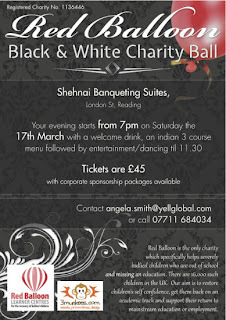 Local charity Red Balloon has teamed up with new celebrity patron Danyl Johnson to help promote a 'Black & White' charity fund-raising ball. 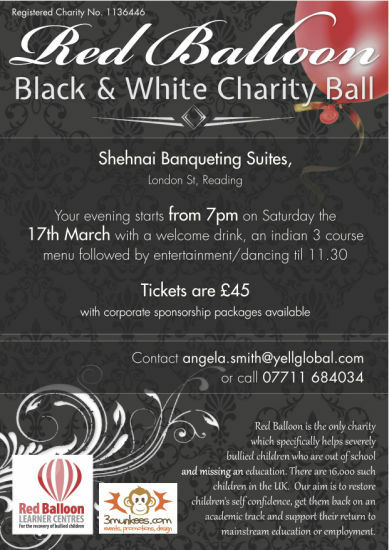 The event will take place from 7-11.30pm on Saturday 17th March at Shehnai Banqueting Suites, 75-77 London Street, Reading, and is hosted by Yell UK Chief Executive Richard Hanscott with Red Balloon founder Dr Carrie Herbert MBE. Red Balloon's mission is to aid the recovery of children who are unable to attend school because they've been severely bullied. The organisation is in the final stages of preparation to open a new Learner Centre in Reading - these provide a safe environment for full-time 'intensive care' schooling for 9-18 year-olds with academic, pastoral and therapeutic programmes to help reintegrate young individuals back into the mainstream. 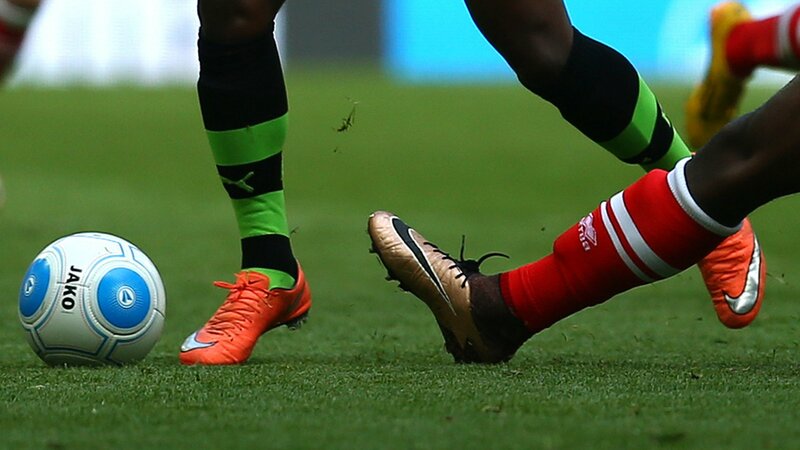 As many as 16,000 such children live in the UK, and as many as half have attempted or seriously considered suicide. Former X-Factor contestant Danyl, who has confirmed he will be attending the event, said he was 'very excited' to be associated with this cause - one which he knows all-too-much about! The series-6 heartthrob from Arborfield had been accused of sexist bullying competitors girl-group Kandy Rain and singer Stacey Solomon by talent judge Louis Walsh, before experiencing the other side of the tabloid knife when 'accidentally outed' by Danni Minogue. The subsequent public and media outrage at this intrusion into his personal life forced producers to respond with an on-air apology from the antipodean singer. For more details about Red Balloon Learner Centres visit their website here. while life in the limelight will magnify the intensity of feeling, any suffering may spread unchecked once it reaches into the shadows. If celebrities can use the lightning rod of their experience to illuminate the issue and stop the vicious circle of violence then we're happy to applaud. Thank you for promoting, it's going to be awesome evening! I used to like Bullseye with Jim Bowen.